Dan "Frodan" Chou is one of the busiest people in Hearthstone, involved in a plethora of tournaments and behind-the-scenes business as well as being a big part of Tempo Storm’s recent success. Yesterday he shared his thoughts and insight on the first ever ESL Legendary Series LAN finals. In this second installment, the topics revolve more around Frodan himself and what he does outside the casting booth, touching on the struggles of making it in esports, ESGN, how he came to Tempo Storm and who the team’s biggest rival is. ESL: Hi again, Frodan. Let’s switch now to a more personal take on your career from the top: you switched from StarCraft II to Hearthstone in the early stages of the game. How did you end up making that decision? 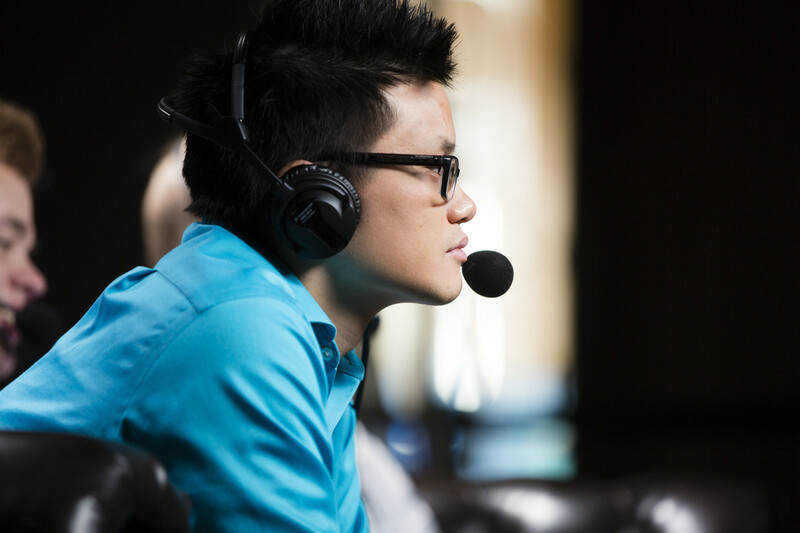 Dan "Frodan" Chou: It was a decision made solely by demand. I enjoyed playing Hearthstone so much and I wanted to get more involved into the scene. There wasn't a ‘switch’ so much as demand for SCII work being capped when the WCS got around. There was nothing for me to do, really. I was fortunate enough to be in a spot where I could create the super popular Fight Night series with ESGN, and from there I got my foot in the door. ESL: As we all know, the ESGN operation went bust fairly quickly. Is there a lesson you took away from that chapter in your esports career? Frodan: The lesson I took away from it all is that there is no lost experience. ESGN was a necessary obstacle and struggle which taught me many personal lessons about the industry and life. Luckily, it played a huge role in how I got to where I am now, and I wouldn't take back those rocky eight to nine months for anything. ESL: You stayed in Germany for a while, worked as a freelancer and quickly became the voice of Hearthstone. Did you expect to have that popularity right away? Frodan: Absolutely not. I simply wanted to survive and not be forced to go home to reset my life. There was a moment when I was pretty much broke. I had to make the decision to stick it out or move back in with my parents, admit that I made a mistake joining the industry and go back to school. I realized the shame of the latter was literally worse than anything else I wanted, so I nutted up and called every person I knew for help. The only thing in my mind was to carve out a way to live and I barely did for a long time. Even now, in February 2015, I still have to deal with the financial repercussions of that time, but I am finally in a spot where I can save up some money and not worry about paying rent. ESL: Now you’re not only a caster and beloved community figure, but also the manager of team Tempo Storm. How did that happen? How were you chosen? Frodan: Reynad approached me directly about managing the team. I would like to think this was because of how I conducted myself when we first met at Bucharest. Many players did not want to associate with him (and consequently Gaara). They sat alone for a long time at meals, at the venue and at the hotel. While I understood the overall awkwardness level, I still found it petty that most players refused to talk or hang out with him so one morning I went over and introduced myself. Over the weekend, I helped them with small things here and there and gave bits of industry advice from my short experience which Reynad greatly appreciated. After the ESGN bomb imploded, my plan was to reach out to teams and figure out if I could do any contract work for extra cash to pay the bills. Reynad was gracious enough to reach out to me first. I guess the moral of the story is to put yourself out there and make a good impression by sounding like you know what you're talking about! ESL: Often the community doesn’t have much of an idea of what a manager does behind the scenes. Can you walk us through your responsibilities or daily routine? Frodan: I do the basic stuff with that like planning travel, coordinating schedules and making a few statements on a player's behalf. My real role with the team has since evolved into having a larger scope. I handle hiring and managing of our staff and interns, putting out a consistent amount of website content, pitching to sponsors, organizing our documents and assets, writing/editing paperwork with players and contractors, budgeting, tournament organization and planning and the occasional sweep-up after Reynad. There's probably more that I’m forgetting, but I have it written down on a notepad at home. ESL: Most recently you and your organization were in the spotlight due to the drama surrounding MagicAmy. Can you walk us through your thoughts and emotions on the first day right after things hit Reddit and Twitter? Frodan: It was pretty stressful to say the least. I got a call from MagicAmy that morning when the threads were posted. Meanwhile, I had other guests to entertain as Savjz/Darkwonyx had come a couple days early for ESL to visit California. So while juggling media day, planning our upcoming events like LOTA3 and moving our Heroes team into a gaming house, I had to struggle with balancing this investigation on what was going on with Hyerim. It came at the worst time possible. ESL: The endgame was the departure of MagicAmy from Tempo Storm. In the statement the organization stated that no claim could be actually supported by evidence - outside the “personal issues” regarding money exchanges. How exactly did you go about the investigation process? Frodan: We talked to everyone we could associate MagicAmy with - personal friends, former teammates, fellow players, the people accusing her and even tried reaching out to parties who have no idea what was going on but happened to have interacted with MagicAmy in the past. The statement was not meant to say there was nothing supported by evidence, but rather there is evidence supporting both sides. We could go into the nitty gritty detail of the discrepancies saying Party A says they owe X and Party B says they only owe Y or nothing at all, but we felt like we were acting like a debt collection agency more than a Hearthstone team. In the end, for this investigation we cared about two things: MagicAmy's true identity and her legitimacy as a player. If she violated those two things, we would have had to take action. We did indeed offer her an opportunity to work things out, but as both parties have mentioned several times, MagicAmy decided to leave and fix things on her own timeline. ESL: Reynad once said on stream that you are by far the hardest working member of Tempo Storm. Would you agree? Frodan: He's too kind. I have a strong staff who work hard with me and are passionate about what we do. I'd like to think every member of our organization loves being a part of it. It's not about who works the hardest or the smartest, but who is willing to be a team player and fulfill their role. I love being part of Tempo Storm and I envision it being a part of what I do for a long time. ESL: When you joined Tempo Storm, they were pretty much the top organization in the entire Hearthstone scene. Lately, though, new teams have rushed in and picked up talent left, right and center - most notably Team Archon. How do you view Tempo Storm’s position in the current Hearthstone scene? Frodan: It's a fair question. It depends on what you consider the top organization. Performance-wise, no one is outdoing Cloud 9 with that kind of roster. StrifeCro and Kolento are ridiculous. Tides and Ekop are always threats to win it all. Gnimsh is a great personality. Hafu is a world class arena player and streamer. We just want to do our own thing. We think no other organization offers such a strong variety of Hearthstone content as we do on our website. Our players still perform well in tournaments and on ladder. We are now expanding into other games - our Heroes team, for example, is by far the best team in NA and competes at the top of the EU scene. So while Tempo Storm still strives to be the top organization in the Hearthstone community, we also have goals which expand beyond those walls. We are very happy with how things are going at the moment. ESL: Which team do you consider your biggest rival? Frodan: Definitely Cloud 9. Jack has built a wonderful team of balanced players and personalities. We strive to have similar prestige and influence in both the scope of Hearthstone and esports. ESL: While we are on the subject of team-based competition: can you see team-based leagues and competitions having a future in Hearthstone, similar to a GSTL or old Warcraft formats like WC3L? 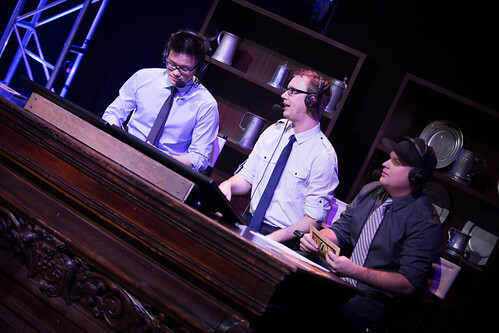 Frodan: Sure, it just comes down to the practicality of it. If it is not profitable for Western tournaments to run it, there won't be many. ESL: In China, the team leagues are a little bit more popular with NEL already. Tempo Storm will be part of that tournament next month, making a trip to China as a unit. How did you guys manage to get invited to this prestigious league? Frodan: TiddlerCelestial helped get us invited. In the past, NEL invited Western teams to play online, but they are doing a trial period of having players in-house for it. We are super thankful and excited to be part of the league. ESL: What is the minimum goal to call the trip to China a success? Frodan: Win the whole thing. We still firmly believe all of our players are elite players who can win tournaments. ESL: One thing people notice is the roster of the TempoStorm squad for the trip to China. With Dog, a member of compLexity Gaming is joining you for the trip. What made you select him? Frodan: Dog made quite the impression on our players as a likeable guy and strong player. We needed someone who we respected enough to include in our inner circle and wouldn't drive us crazy living with us for three weeks. He seemed like a great fit. ESL: Okay, switching gears to another big point - the future. What can fans of the TempoStorm brand expect? Frodan: More of what we're doing, but better. Every day we are learning from the projects and things we do. For the immediate future, we have been working on a big online tournament series for over a month now, which will be exciting once it’s announced. In addition, we are pushing out Heroes of the Storm content in addition to Hearthstone. ESL: What can your personal fans expect from you? ESL: The first ‘real’ year of Hearthstone in the scope of an esports title recently closed and you took away a GosuAward. What do individual honors like that mean to you? Frodan: It means everything, but nothing at the same time. I enjoy being acknowledged and I am humbled to be thought of so highly by peers and fans. However, it is similar to back in the olden days - we said Savjz and StrifeCro were unanimously the best players... but the game was still in beta! 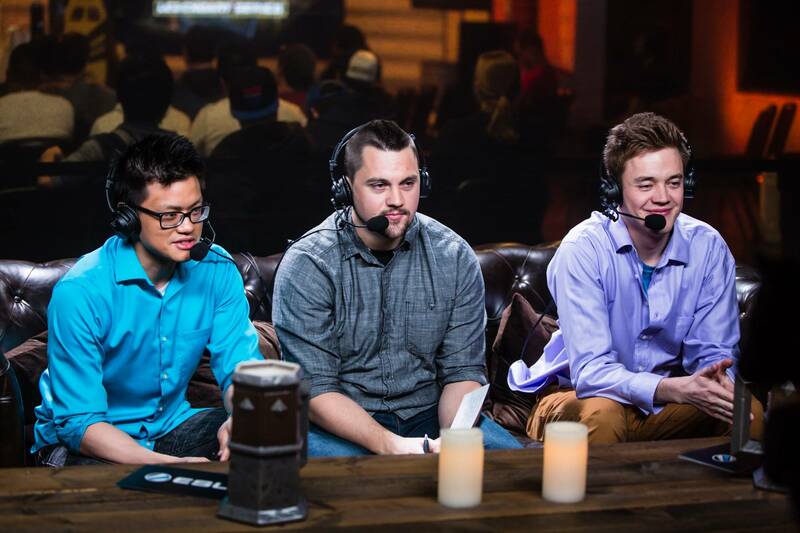 There are not enough casters out there for me to feel truly proud of getting the award. In short, while winning the category was a great feeling, it’ll mean way more if I work hard to win it again in the future. ESL: Worst card in the game? Frodan: Functionality wise? Magma Rager, I suppose. ESL: Favorite deck at the moment? Frodan: A secret deck Reynad made about two weeks ago. It's not good in the current meta, but it’s very refined and super fun to play. This sounds like a joke, but it's really not. Frodan: A toss-up between Artosis and Savjz! ESL: Best player at the moment? ESL: Card that needs to get nerfed the most? Frodan: Big Game Hunter. Brian Kibler convinced me of this at BlizzCon last year. Frodan: I'll pick a card from the expansion: Piloted Sky Golem. It's like a Savannah Highmane, but for mechs! Still not had enough Hearthstone? You’re in luck! As well as being able to go back and check out the first part of our interview with Frodan, the ESL Legendary Series event in Katowice is also just around the corner, where some of the world’s best players will battle for a massive US$30,000 prize pool.